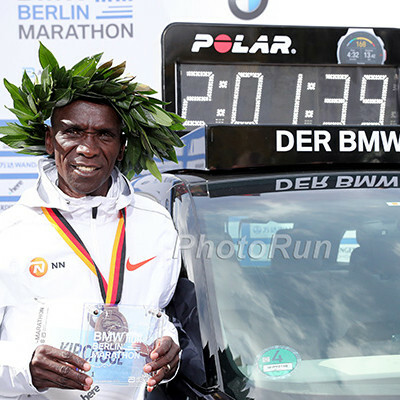 – Eliud Kipchoge, the world’s greatest marathoner, talking about his relationship with his coach Patrick Sang. Who really ran the first sub 2 Marathon? Has anyone run a 10.7 100m, and a 14:30 5k? Would Lagat have medaled the Rio 1500m? 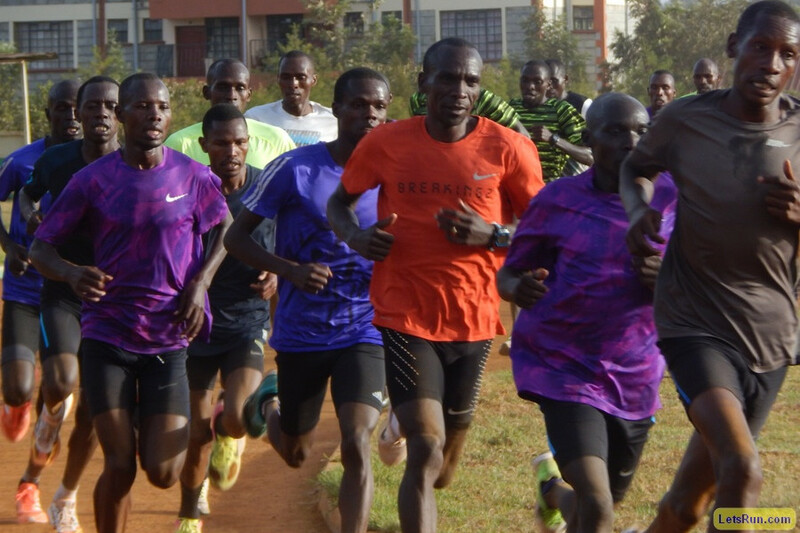 Part I: LRC A Day With Olympic Marathon Champion Eliud Kipchoge, Part I: A Tuesday Morning Track Workout Later this week, Eliud Kipchoge will attempt to become the first human to run 26.2 miles in under two hours. 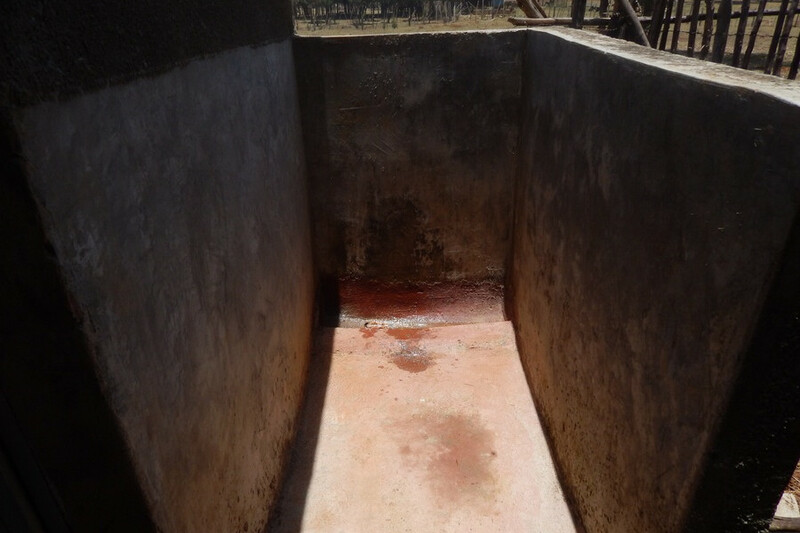 7 weeks ago, we traveled to Kenya to try to figure out what makes him so special. Olympic Shot Put Champ Valerie Adams Expecting A Baby In October She’ll miss Worlds this summer, but still plans on bouncing back for the Commonwealth Games 5 months after giving birth. Diamond League Javelin Winner Madara Palameika Talks About Bouncing Back From Disappointments Palameika was bummed to only finished 10th in Rio, but bounced back to win the last two DL meets of the season. Teleconference Highlights With Olympic LJ Bronze Medalist Ivana Spanovic Spanovic isn’t happy with the changes to the Diamond League format this year because the women LJers will have two less competitions. Qatar’s Olympic Javelin Thrower Ahmed Budair Dreams Of Diamond Trophy Budair will compete in his first DL meet at Doha. June 1: 2017 Adrian Martinez Classic High Performance Fields Some solid middle distance races with Leo Manzano, Kyle Merber, Donn Cabral, Marielle Hall, Amanda Eccleston, Ashley Higginson and more competing. May 13: New Shanghai DL Discus Format Will Have The Men And Women Competing At The Same Time The women’s disc is lighter so the distances are actually comparable. For example, last year Olympic champion Sandra Perkovic had a better SB (70.88m) than Christoph Harting (68.37m). Laura Muir Sets Her Sights On Zola Budd’s 32-Year-Old 4:17 British Mile Record Muir plans on going for the record at the Anniversary Games in July and revealed she wants to do the 1,500/5,000 double at Worlds. Laura Graham Became The First Northern Ireland Athlete To Win The Belfast Marathon In 18 Years The 31-year-old ran a PR of 2:41:47 just 8 days after running 2:42 to finish 24th at the London Marathon. 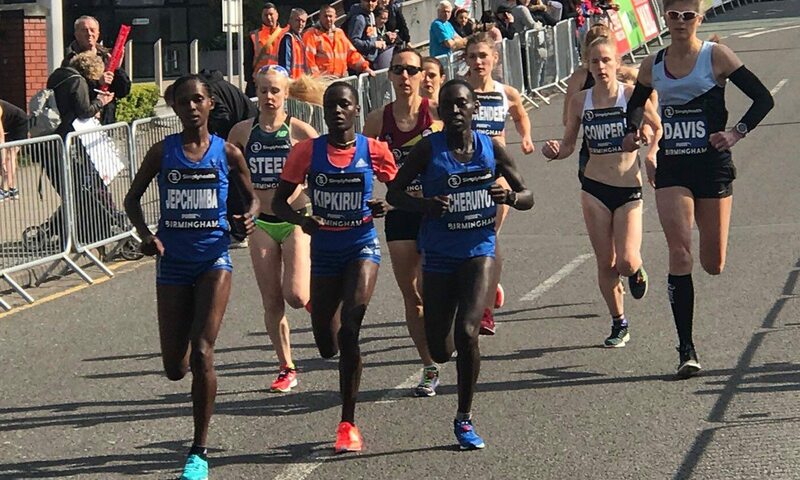 Kenya’s Ruth Chepngetich (66:19) And Tanzania’s Ismail Juma (60:09) Break Turkish All-Comers’ Records At Istanbul Half Marathon Chepngetich got the surprise win over Olympic marathon silver medalist Eunice Kirwa. Saturday: Texas A&M Takes Team Title At SEC Relays The Aggie men ran a 4 x 400 world lead with 3:00.74, the fourth-best performance in school history. LSU’S Aleia Hobbs Runs 10.85 Wind Legal!! Also Runs On 4 X 100 That Ties The Collegiate Record LSU’s Aleia Hobbs anchored the team to 42.12 and then came back in the open 100 to win in 10.85, the fastest in NCAA history at low altitude (only the collegiate record of 10.78 from 1989 is faster). Friday: Texas A&M Starts Off SEC Relays With Collegiate Records In Both Men’s And Women’s SMR Jaevin Reed (50.9), and Jazmine Fray (2:02.3) led the way in the women’s while Mylik Kerley (44.8) and Devin Dixon (1:47.0) led the men. Many Of The SEC Schools Are Skipping Penn And Drake To Go To The Inaugural SEC Relays The power schools are trying to take over the sport for themselves. *MB: Pat Henry thinks destroying the Penn and Drake Relays is good for the sport – what say you? So Which Is It? Athletics Kenya President Jackson Tuwei Denies Reports That A “Top” Kenyan Has Tested Positive This is in direct contrast to what Reuters quoted him saying on Friday. Ban Her For Life: Russia’s Former World University Games 1,500 Champ Ekaterina Sharmina Has Four Extra Years Added To Her Drug Ban Sharmina was already serving a 3-year drug ban for biological passport violations when she failed another drug test. Russian Sports Ministry An “Affected Party” In Criminal Investigation Into Former Lab Director Grigory Rodchenkov And May Sue Him On the five stages of grief, Russia is still hovering between denial and anger. Hopefully they eventually reach acceptance, but we’ll be satisfied if they make it to depression. IAAF Strips Russia Of 2013 World Championships 4 X 400 Gold This bust was previously announced, but now it is official that they’ve lost their medals and the US squad will be upgraded to gold. WADA Reinstate Madrid Lab Accreditation After Being Suspended Last Year WADA described Spain’s lack of drug testing as “alarming” as many of the world’s top soccer players went untested while the lab was suspended. Why Tina Muir, Member Of British World Half Marathon Team, Retired At The Peak Of Her Career When you haven’t had your period in 9 years and want to have kids, it seems like a no-brainer. 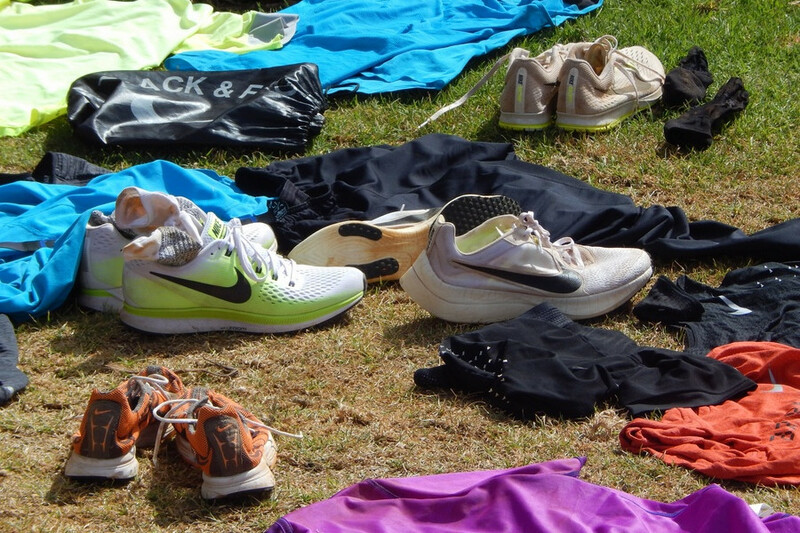 Journalist Goes To Altitude Camp With Brooks Beasts And Realizes Physiological Changes Are Only Half The Ball Game Some runners get bored by the isolation – particularly if they go to Kenya. 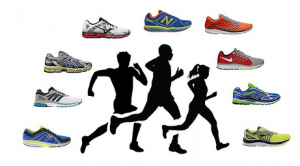 Mizuno Releases Patriotic Limited Edition Shoe For Peachtree Road Race Only 3,000 of the red, white and blue shoes that have a picture of the Atlanta skyline on them are being made. Goe: Nike’s Attempt To Break 2-Hour Marathon Barrier Deserves Props, Not Criticism We aren’t big fans of it. Imagine if Nike had Tiger Woods in his prime pull out of the Masters to enter a Nike- only tournament where the rules of golf weren’t followed. Which Drake Relays Prep Records Could Go Down This Week? Paul Tergat Will Be The Next Head Of The Kenyan Olympic Committee As Kip Keino Fails To Get A Single Sports Federation To Endorse His Re-Election Bid Tergat took the high road and praised Keino: “I must pay tribute to Kipchoge for leaving an unparalleled mark in sports,” Tergat said. Qatar Sports Anti-Corruption Group Lays Off 25% Of Its Staff In Budget Cuts We had no idea the group existed and it has a $26 million budget. 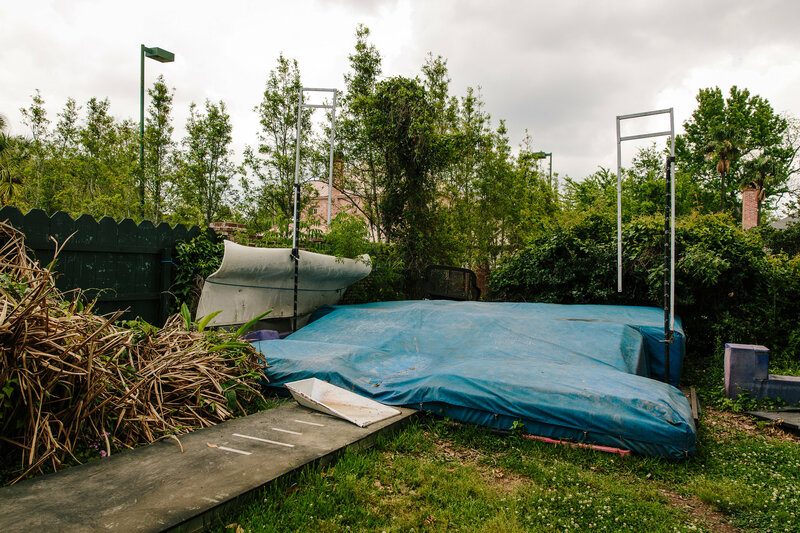 Safeguards Under Scrutiny After Student Is Killed By A Hammer Throw While Standing In An Area That Should Have Been Safe The NCAA cage regulations are not up to par with the IAAF’s and might need to be re-evaluated. 10 Reasons To Watch The Hammer Throw In 2017 #1 on the list is will we see another WR from Poland’s two-time Olympic champ Anita Wlodarczyk? April 28: Young GB Heptathlon Star Morgan Lake Will Return To Multistars Meet In Florence, Italy In 2014 at 17 years old, Lake became the youngest winner in the long history of the meet. July 1: Three-Event Multi Competition Added To Paris Diamond League Meet; France’s Olympic Silver Medalist Kevin Mayer Will Compete The multi “triathlon” will include the 110H, LJ and javelin. 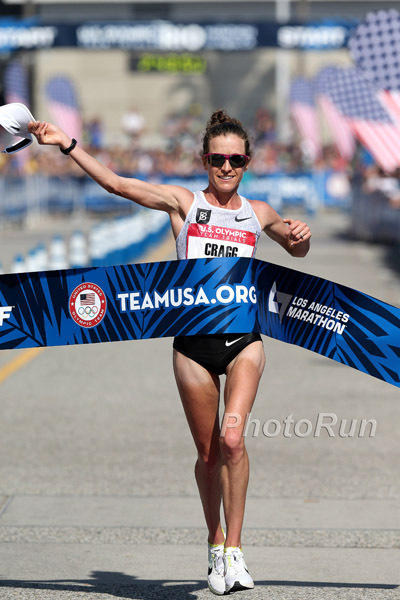 Looking Ahead: Who Will The US World Marathon Team Be? Runner’s World Talks To The Top 10 Men And Women On The US Descending Order List To See Who Will Run At 2017 London Worlds Jordan Hasay is undecided and after her, Laura Thweatt, Serena Burla and Amy Cragg all want to go. The men’s team will likely be lead by Bobby Curtis. May 28: Defending Champion Koren Jelela Will Return To The Ottawa Marathon Jelela will face 2015 winner Aberu Mekuria while the men’s race has 2:06-men Seboka Tola and Sisay Jisa. May 13: Olympic Hurdle Champions Omar McLeod (110H) And Kerron Clement (400H) Face Tough Tests At Shanghai DL McLeod is up against Aries Merritt and silver medalist Orlando Ortega while Clement faces Rio bronze/silver medalists Bonface Mucheru of Kenya and Turkey’s Yasmani Copello. Next Month: Super-Deep Field Set For Pre Classic Women’s 1,500 With Seven Sub-4:00 Women The field will include Olympic champ Faith Kipyegon, Olympic silver medalist Hellen Obiri, USA’s Jenny Simpson, Shannon Rowbury, Kate Grace and GB record setter Laura Muir. 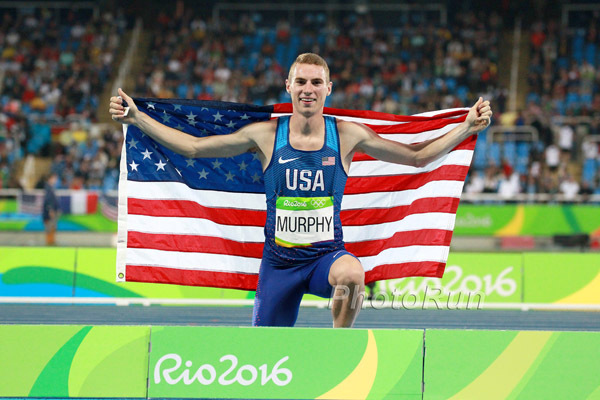 LRC Clayton Murphy Anchors US To 4 X 800 Gold And Reaffirms His Status As The Current World #1 David Rudisha, are you training hard? Clayton Murphy is in supreme form right now. 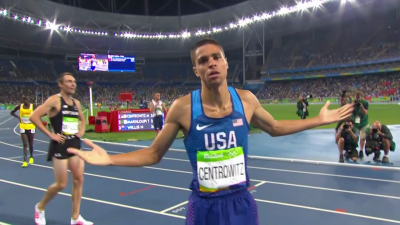 LRC Sunday Sprint Recap US Women Fall In 4 X 100, Canada And De Grasse Win 4 X 200, Merritt Wins Exciting 4 X 400, Bahamas Brings Down House In Mixed Relays Scroll down for Saturday recap. 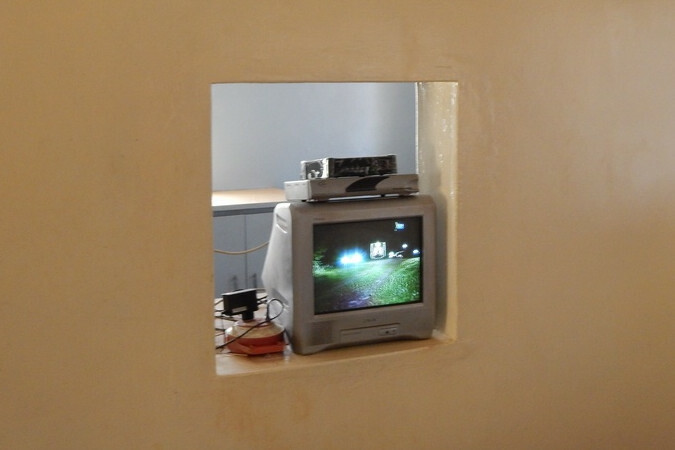 We take quick look at last week as we're really busy getting busy for a big week this weekend. From Nike.com: Meet The Man Behind The Breaking2 Project Nike’s VP of Special Projects, Sandy Bodecker, actually has 1:59:59 tattooed on the inside of his wrist. 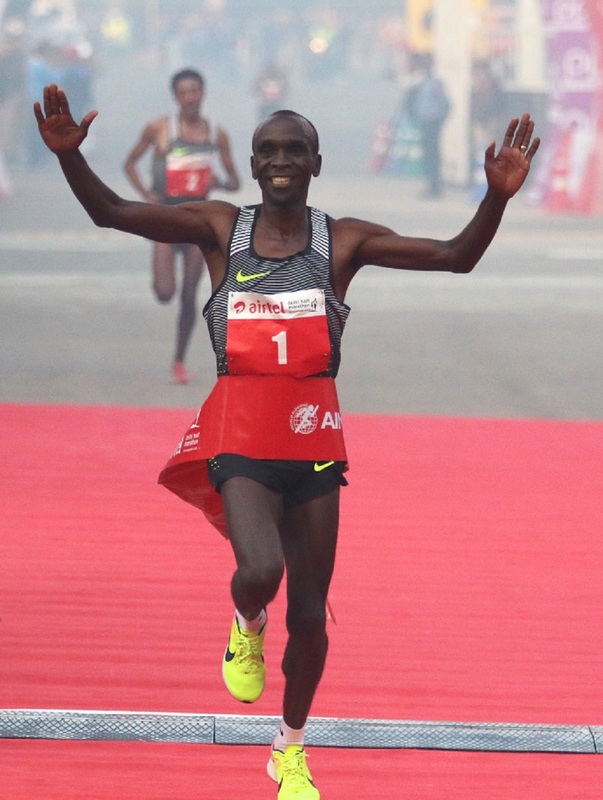 The Irish Examiner Explains Why Even If Eliud Kipchoge Does Break 2-Hours, It Won’t Count As A WR It won’t be because of Nike’s new 4% shoes as the IAAF technical committee apparently ruled that the shoes are legal. 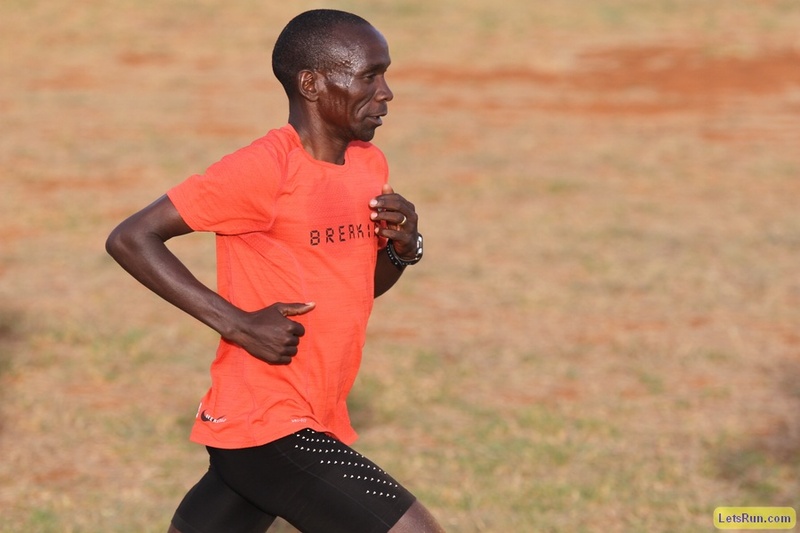 MB: Nike Sub-2 Attempt Will Have Some High Profile Pacers The lineup of 18-pacers includes Bernard Lagat, Chris Derrick, Andrew Bumbalough, Sam Chelanga and Collis Birmingham. 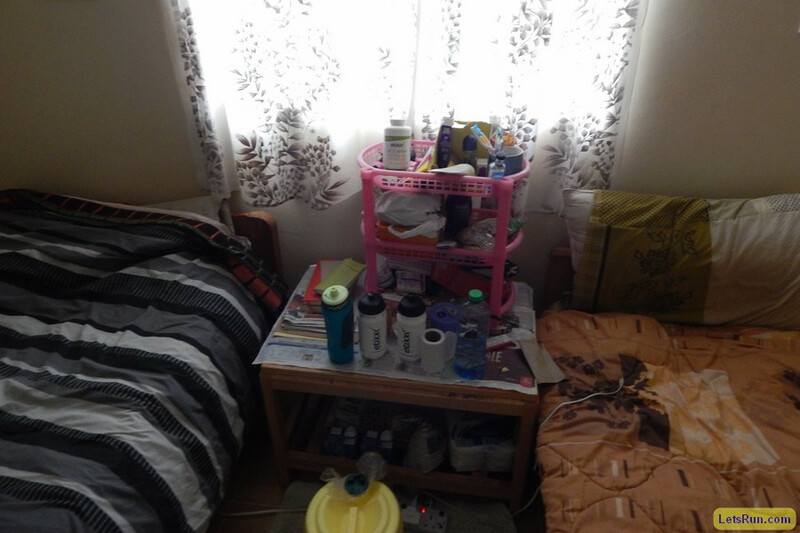 LRC Agents Federico And Gabriele Rosa Answer Our Questions About Doping In Kenya After Jemima Sumgong’s “A” Positive Test The Rosas have suspended everyone in their women’s marathon group (Olympic, Tokyo and Paris champs). 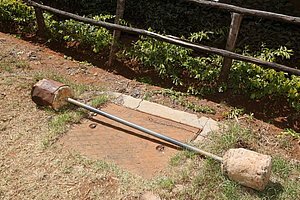 They say they are fighting the scourge of doping in Kenya and before Sumgong’s bust had started blood testing their own athletes, and kicked two out for suspicious values. What Stars Would Be Stripped If IAAF Puts Through Proposal For Stricter WR Criteria? The BBC says almost half of thee 146 men’s and women’s indoor and outdoor world records would be rewritten. 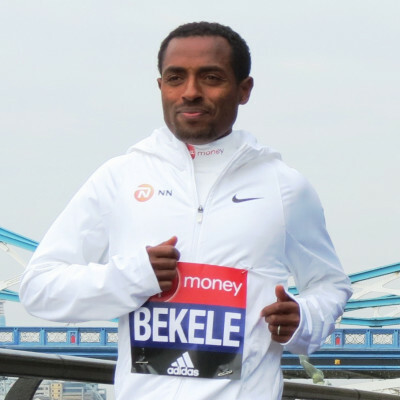 Kenenisa Bekele would lose his 12:37 5,000 WR to Dejen Gebremeskel‘s 12:46 and the USA could lose at least two marks in the men’s 4 x 400 mark and Jackie Joyner-Kersee‘s heptathlon. Not Biased At All: Olympic Silver Medalist Dafne Schippers Backs Record Rewrite Which Would Give Her The 200m WR (She’s Currently #3) Well, we wouldn’t complain if the top two women’s 200 marks were erased from the books as they belong to Flo-Jo and Marion Jones. 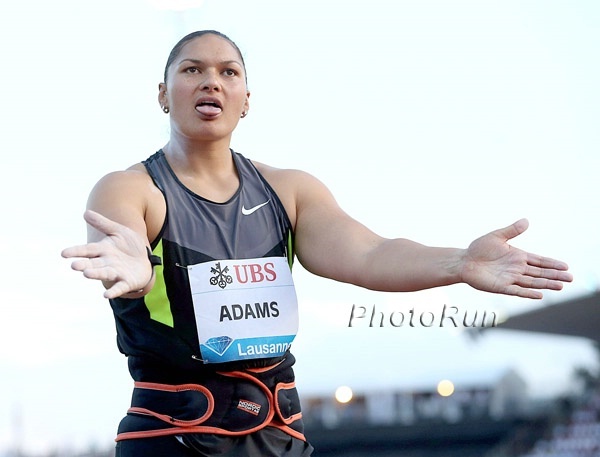 NZ’s Valerie Adams Could Get The Post-2005 Shot Put World Record Even though she’s only #23 on the all-time list, Adams has the second best post-2005 performance behind known doper Nadzeya Ostapchuk. Long Jump World Record Holder Mike Powell Calls Plans To Rewrite Records “Disrespectful, An Injustice And A Slap In The Face” Powell says he’s already contacted his attorney and is prepared to fight to keep his WR. Should The IAAF Re-Write History? Seb Coe Supporting European Athletics Proposal For Scrapping All The World Records Before 2005 The idea is to erase records that occurred before there was proper out-of-competition testing and stored frozen samples. This includes Flo-Jo‘s 100/200 marks, Hicham El Guerrouj‘s 1,500m, Paula Radcliffe‘s 2:15:25 marathon and numerous marks set by Eastern Bloc countries during the state-sponsored doping era. AFP Recap: Omar McLeod’s 13.04 In The Rain, One Of 3 World Leaders At Drake Keni Harrison (100H) and Georgeanne Moline (400H) with the other world leaders. Also recaps some of Friday’s action, where Kirani James had his second poor 400 of the year. MB: Clayton Murphy beats Johnny Gregorek by .09 in Drake 1500. 3:41.75 to 3:41.84 Everyone else was WAY back. *IAAF Recap Sam Kendricks took the pole vault in 5.80m. Caroline Kipkirui Proves Her Pacing Job For Mary Keitany Was No Flash In The Pan As She Sets Big PR To Win Great Birmingham 10K In 30:45 Kenya’s Frankline Keitany won the men’s race in 28:41, one second ahead of Uganda’s former World 10,000 5th placer Timothy Torotich. 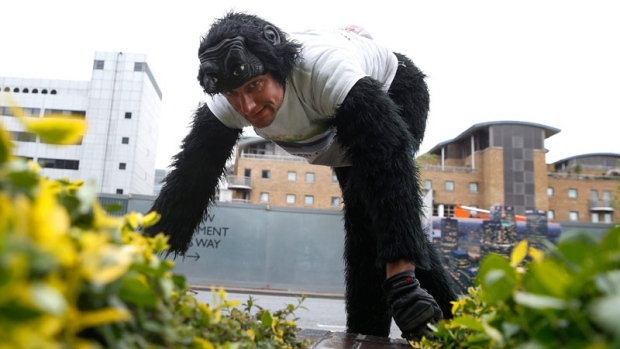 So Weird: Guy In Gorilla Costume Finishes London Marathon After 6 Days He completed 4.5 miles per day by crawling for 10 to 12 hours. 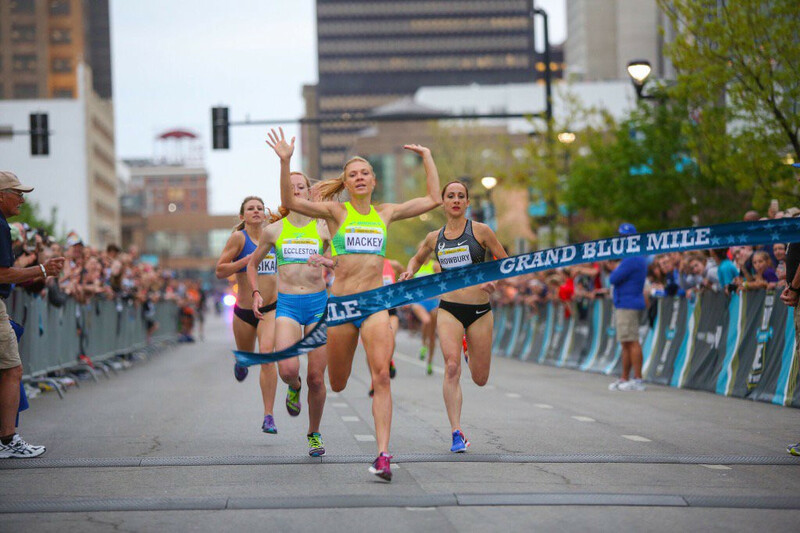 Natosha Rogers Holds Off Neely Spence Gracey For First National Title, Leonard Korir Edges Sam Chelanga Rogers then puked in the finishing chute. *MB: Official 2017 US Half Marathon Champs Discussion Thread – Who You Got Korir, Chelanga, Tuliamuk, Sisson, Bruce, etc. 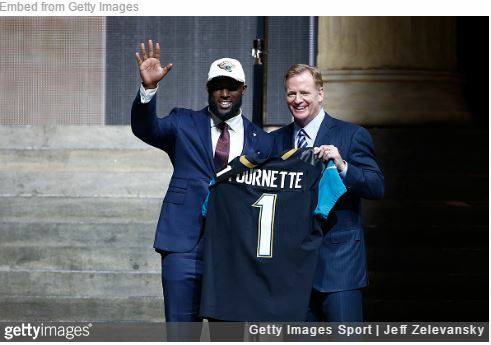 LRC 8 Of The NFL’s First 9 Draft Picks Were Track And Field Athletes In High School – How Good Could The First-Round Picks In The 2017 NFL Draft Have Been Had They Stuck With Track & Field? 8 of the top 9 picks (88.9%) and at least 19 of the 32 in the first round (59.4%) were also track and field athletes in high school. Did any of them have Olympic potential? *MB: 8 of the top 9 picks in the 2017 NFL Draft were track and field athletes in HS, how good could they have been? Kenyan Columnist Examines Kip Keino’s “Free Fall” He finds it hard to fathom that a nation’s hero could see his career end being unable to get a single sports federation to nominate him for re-election as head of the scandal-filled Olympic committee. Interesting Read Josh Griffiths’ Run At London Marathon Reminds Historians Of Ian Thompson’s Virgin Run In 1973 Thompson, who was no better than the 90th 5k runner in the UK, ran 2:12 in his debut and then ran 2:09 to win the CG title in 1974. A Look At The Career Of South Illinois University Head Coach Kathleen Raske – One Of Just 22 Women Who Head Both Men’s And Women’s Programs In The US Track is still way ahead of other sports as we know of no women that lead men’s basketball teams. Interesting Read For Oregon Fans: A Look At The UO Record Book, “The Approachable, The Vulnerable, The Invulnerable” The likelihood of a broken record is given a rating from good (Bill McChesney‘s 13:14 5K) to zilch (Ashton Eaton‘s decathlon). Stanford XC Invite Is Cancelled For 2017 As It Conflicts With A Home Football Game It’s the first time since the meet’s inception in 1974 that the meet won’t be held. 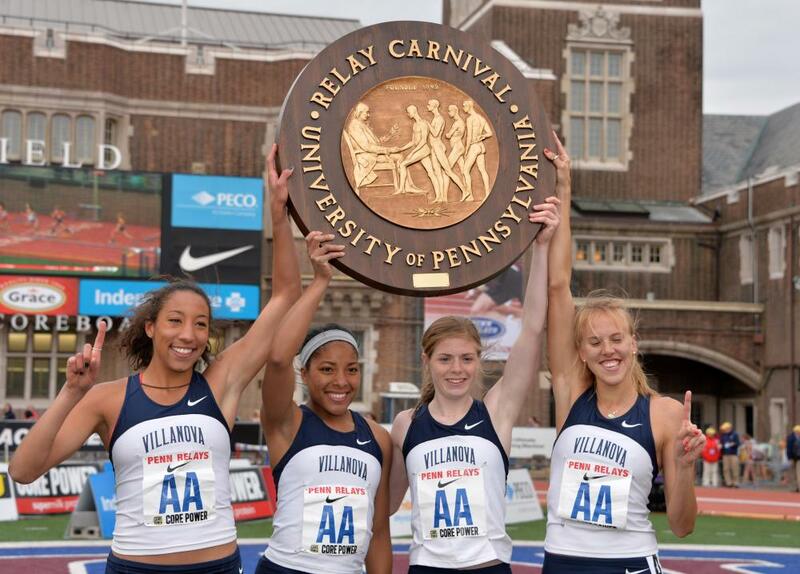 10 College Story Lines To Follow At Penn Relays The women’s 4 x 1,500 looks to be a great showdown between Villanova, Oregon and Stanford. Penn Relays DMR Preview This writer is disappointed that UTEP isn’t sending a team to mix it up with Oregon, Penn State and Georgetown. *Edward Cheserek Out Of Penn Relays, Will Focus On Running Very Fast In The Payton Jordan 5,000 Next Week Could Cheserek take down Henry Rono‘s official collegiate record? *UO Coach Robert Johnson Says They Are “Playing Favorites” With Cheserek This Year They’re apparently letting him call the shots on his racing schedule. Good Read: A Look Back At The Thrilling Battle Between US And Jamaica In The 2007 Penn Relays Boys 4 X 400 The race culminated with future US Olympian Bryshon Nellum anchoring Long Beach Poly HS to the win over the Yohan Blake-anchored St. Jago. 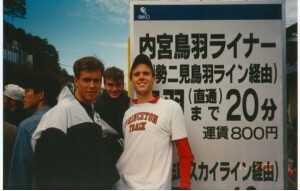 Ten years later, it remains the last time a US team won the boys 4 x 400. USATF Announce Penn Relay Pools Either Cas Loxsom or Donovan Brazier will run the 800 leg of the SMR. IOC President Thomas Bach Admits That “The Good Times Are Over” As Less Cities Want To Bid To Host The Olympics And he is using this as justification for changing the bidding process. Bach Insists That Avoiding Losing Is Key Reason Behind His Push To Award The 2024 And 2028 Olympics Simultaneously Maybe he’s just afraid no one will want to do it come 2028. No Duh: IOC President Thomas Bach Not Convinced E-Sports Reflects Olympic Rules And Values If video games ever do make it to the Olympics, they should be added to the winter program. So many of the sports are already a joke, video games won’t be that out of place. Paris 2024 Olympic Bid Gets A Boost As The City Is Set To Be Awarded 2020 European Championships It’s not official yet, but they are the only bidder. MB: Clayton Murphy and Katie Mackey Win USATF Road Miles at Drake 3:59.96 for Murphy, Riley Masters second; Mackey (4:37.00) beat Amanda Eccleston and Shannon Rowbury. He Made The Right Choice: 3 Years Ago, Mondo Duplantis Was Debating Whether To Focus On Pole Vaulting Or Baseball Duplantis has been vaulting since he was 5, but says he actually spent a whole summer only playing baseball without vaulting at all. Thomas Bach, Craig Reedie And Richard McLaren Pledge To Strengthen Cooperation Between The IOC And WADA You’d think that both organizations would want to accomplish the same thing. Russian Olympic Committee Claim German Germany Is Violating The Olympic Charter By Calling For Them To Be Banned From The Paralympics And where does state sponsored doping fit into the Olympic charter? MB: NCAA 60m champ Christian Coleman just ran a 40 – He crushed the NFL combine record The NFL combine record is 4.22. Coleman ran a 4.12. USC Vs. UCLA Dual Meet Recap: USC Women And UCLA Men Prevail Again The UCLA men defended their title from last year while the USC women took their 4th straight title in this crosstown rivalry. Drake Relays Announces Meet MVPs In Jamaica’s Olympic Hurdle Champ Omar McLeod And Minnesota-Duluth Mid-D Runner Emilee Trost Trost became the first woman in meet history to win the college 800/1,500 double. Event-By-Event Top 10 NCAA Marks From The Weekend There was another women’s sub-10 steeple as Providence’s Brianna Ilarda won Penn in 9:57. 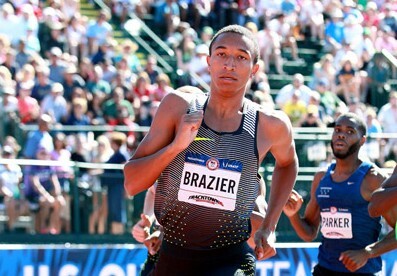 USATF: Team USA Breaks Womens Sprint Medley Relays WR; Donovan Brazier And Cas Loxsom Battle In Men’s SMR 800m Leg Brazier and Loxsom got the baton neck-and-neck, but Brazier “dropped the hammer” to win by over a second and a half. In the USA vs. the World races, the US and Jamaica tied for wins as the US swept the SMR, but Jamaica swept thee 4 x 400s and the 4 x 100s were a split. Jamaica Wins 3 Of 4 Premier Relays At Penn Jamaica won both 4 x 400s and women’s 4 x 100 at Penn but with World Relays last weekend, a lot of stars weren’t on the relays at Penn – but Elaine Thompson did run the 4 x 100. Oregon’s Sam Prakel Named Men’s Outstanding Relay Runner At Penn Prakel anchored Oregon to wins in 4 x mile and DMR as Raevyn Rogers ran the fastest 4 x 4 split (50.5) to help the Oregon women set a meet record. Siofra Cleirigh Buttner Outkicks Fresh Elise Cranny As ‘Nova Wins 4 X 1,500 Title Day After Winning DMR Stanford sat out the 4 x 1,500 and still didn’t win the DMR. USA Today: Catching Up With Ashton Eaton And Brianne Theisen-Eaton Post-Retirement The Eatons say they’re in a “transition phase” as they haven’t exactly figure out what they want to do with retirement. IAAF Profile: Aries Merrit Is A “Stronger Athlete” For Going Through The Hellish Health Issues He’s Had The Past Couple Years This year Merritt wants to get back to the level he was in during 2012 when he won the Olympics and set the WR. Two Of Jesse Owens 1936 Olympic Gold Medals To Be Auctioned Off This Summer They are expected to go for around $500,000 each, although an anonymous bidder paid $1,466,574 for one of Owens’ Olympic gold medals a few years ago (the highest price ever for a piece of Olympic memorabilia). Olympic HJ Silver Medalist Mirela Demireva Reflects On The Moment When She First Attempted To Break The 2-Meter Barrier Spoiler alert – she didn’t get it. But she says the experience helped her win silver in Rio with 1.97m. 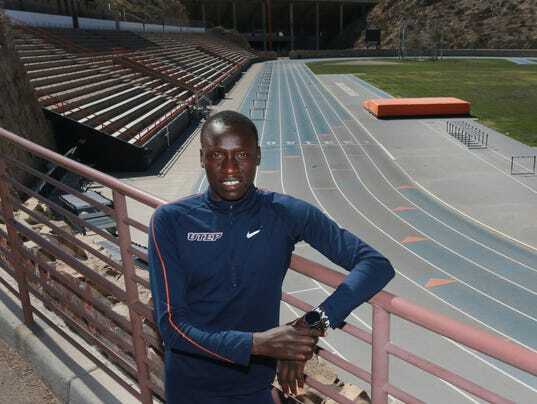 MB: UTEP’s Emmanuel Korir Scares Collegiate 800m Record With 1:43.73 Korir missed Donovan Brazier‘s mark from last year by just .17. MB: High Schooler Cooper Teare Has Another Close-To-Barrier-Breaking Mile With 4:01.3 Teare dominated The Sacramento Meet of Champions, winning his race by over 8 seconds in hot conditions. US’s Triple Olympic Medalist Tori Bowie Runs World-Leading 200m In 22.09 At University Of Florida Other meet highlights included wins from young pro Noah Lyles in the 200 (20.16) and Veronica Campbell-Brown in the 100 (11.06). Another “High-Profile” Athlete In Kenya Has Tested Positive On the message board, we’ve been telling you for days that a source told us more names are coming from Kenya and Reuters has confirmed this fact. 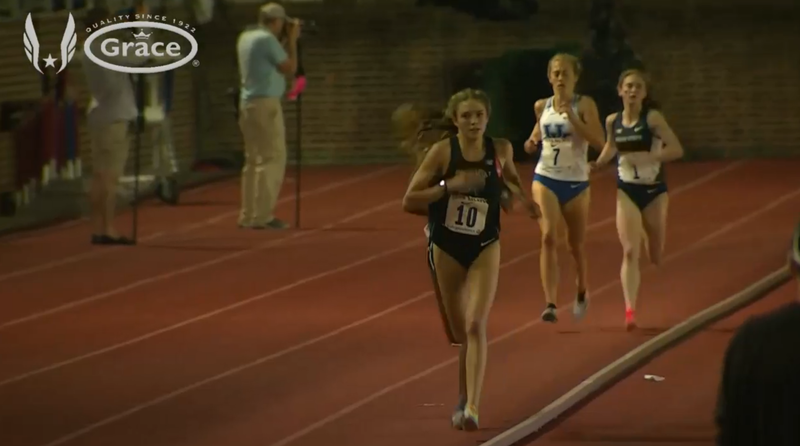 16-Year-Old Brogan MacDougall Just Smoked Everyone In The 5,000 And Won The Penn Relays Title In 16:06.75! Sydney McLaughlin’s Historic 50.79 Split Steals The Show On Day 1 Of Penn Relays Her heroic run put her team in HS final on Friday with the #2 seed. Penn Relays’ Unsung Heroes Sacrifice Time, Money And Credit … But They Keep Coming Back This is definitely a good read. 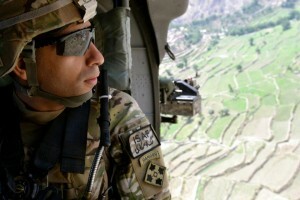 It’s very hard for starters to get to meets as they have to fly with their guns. *MB: Cas Loxsom no longer a Beast? LRC Q&A Why Is NASDAQ Chairman Bob Greifeld Investing Some Of His Millions In Pro Track And Field In The US? The super-successful Greifeld is one of the main backers of the Track Town Summer Series. Is he crazy or will he help make track and field more popular and profitable in America? Meet Caroline Chepkoech, The Woman Who Answered The Last Minute Call To Pace Mary Keitany To An All-Women’s Record At The London Marathon Chepkoech paced Keitany through halfway even though she had never raced half-marathon before. 2012 Olympic 800m Silver Medalist Nigel Amos Relocating To The US Amos has been nomadic recently, moving his training base from South Africa to Botswana to Kenya and now to the US (apparently a controversial decision among the Botswana federation). 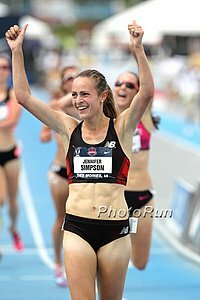 Good Read: The Des Moines Register: “Jenny Simpson Holds Drake Relays Close” Simpson has actually never lost at Drake. 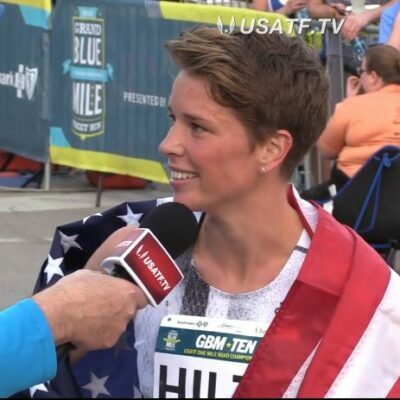 She’ll be going for her fifth Relays title in the 1,500 this weekened against a deep American field including Brenda Martinez, Kate Grace and Shelby Houlihan. Drake Relays Rio Olympic Rematch Fields These are the events to watch at Drake. Coaches Of Winning Athletes At 2017 Worlds Will Also Get Medals Now coaches can really live vicariously through their athletes. 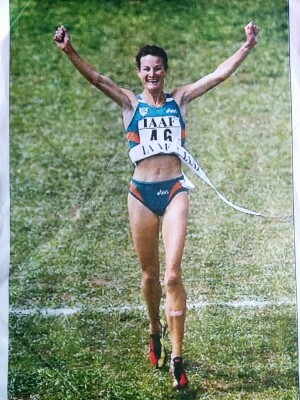 Interesting Read: All-Time Irish Great And Former World 5,000m Champ Sonia O’Sullivan Tells Women Motherhood Is NO Reason To Give Up Sport O’Sullivan talks about her experience coming back from pregnancy to win Olympic silver one year after giving birth and points out that four of the top five women at London were mothers. 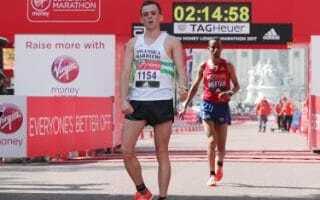 WTW 2017 London Was The Fastest Marathon In History, A Mother Of 7 Runs 2:24 In The Marathon, Clayton Murphy Didn’t Run As Slow As People Said He Did, And Might An NCAA Frosh Be The Greatest 400/800 Guy In History? We break down the past week in running that saw the Virgin London Marathon and the World Relays. 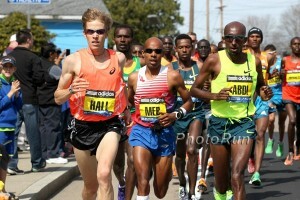 *MB: World Marathon Majors looking to expand – How many is too many? What criteria should they use? Nike Says That Kenenisa Bekele Was Not Wearing Their “Breaking2 Shoes” Bekele was using the standard Zoom Vaporfly 4% shoes, not the “Vaporfly Elite” that are only for the Breaking2 athletes. London And Boston Running Form Analysis: How Kenenisa Bekele’s Form Hinted That It Wasn’t Going To Be His Winning Day Also form analysis of Mary Keitany, Daniel Wanjiru and the runners in Boston, including Galen Rupp and Jordan Hasay. 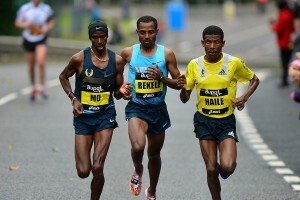 *MB: Kenenisa BEKELE has become a heel striker — WTF?!? London Marathon Still Pursuing Russian Doper Liliya Shobukhova For Return Of Prize Money And Appearance Fees They launched legal action against her, but there is no guarantee they’ll actually recover any money. Club Runner Josh Griffiths, Who Shocked By Making GB’s World Team Without Even An Elite Bib, Is Self Coached He plans to stay that way through Worlds.